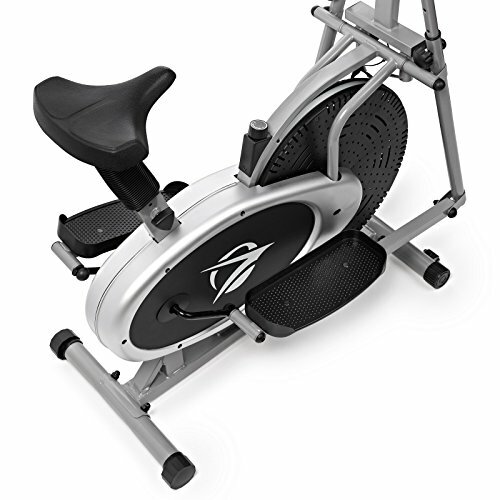 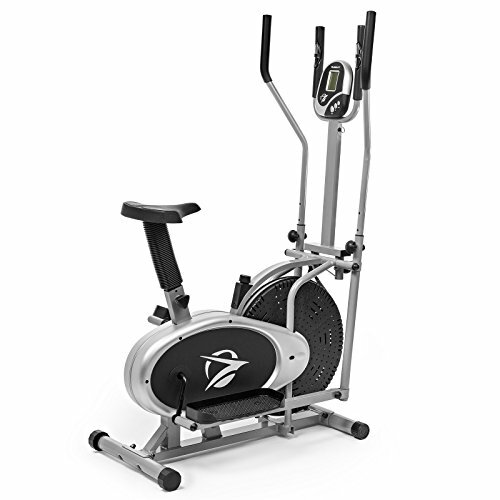 EFFECTIVE, FULL-BODY FITNESS: Burn calories, gain muscle tone, and improve overall health with this ultra-efficient, home elliptical trainer and stationary exercise bike workout machine. 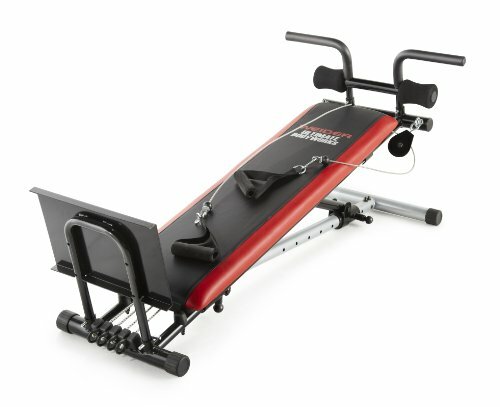 It’s the ideal low-impact yet high-cardio cross-training fitness solution that works various muscle groups (arms, legs, abdominals, and buttocks) for a complete body workout. 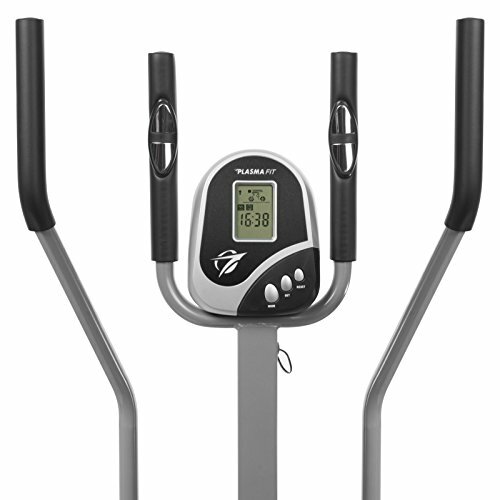 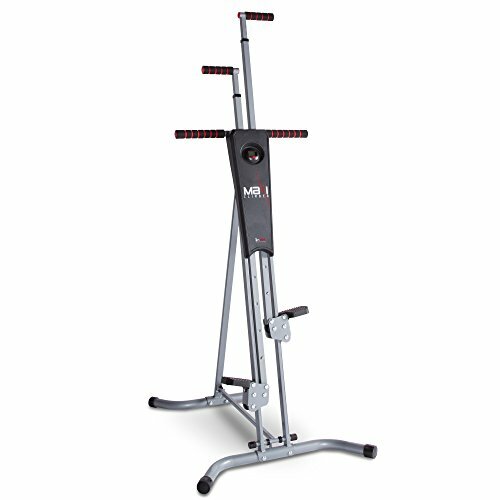 2-in-1 SPACE-SAVING DESIGN: Save valuable space with this compact yet highly efficient exercise machine, which provides a full range workout featuring an 11″ foot stride and a 21″ arm extension. 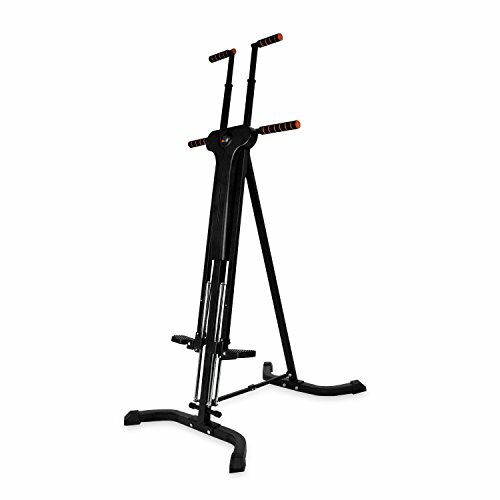 STURDY CONSTRUCTION: Tubular steel construction and a wide base provide secure stability and lasting durability. 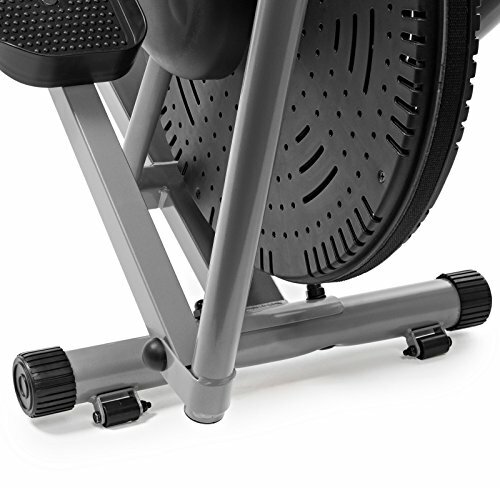 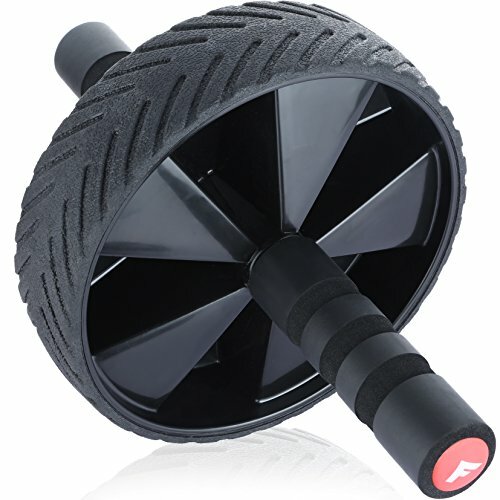 Soft hand rail grips along with extra-large, textured foot pedals (13.5″ long and 6″ wide) offer even more sturdy support for smooth elliptical striding or bike pedaling.